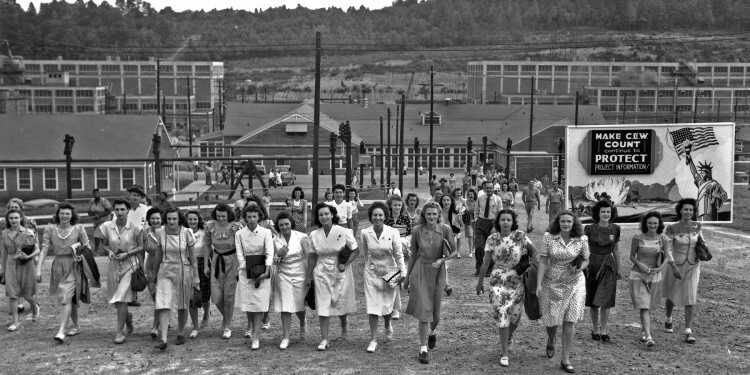 As Lindsey Freeman reminds us in Longing for the Bomb, Margaret Mead once worried in the 1960s about the still-youthful Oak Ridge, Tennessee (“The Atomic City”), becoming a, “city without grandmothers,” (p. 175) or a place where there are no guardians of the memory of Oak Ridge culture. Fittingly enough, though, Freeman’s grandmother becomes an important punctuation point in the book, emphasizing and accentuating the complex layers of time and space in an area that, as the planned city that made the fateful and fissionable materials for, “Little Boy,” once seemed like the vanguard of the future, but now mines (ambivalently) its past. 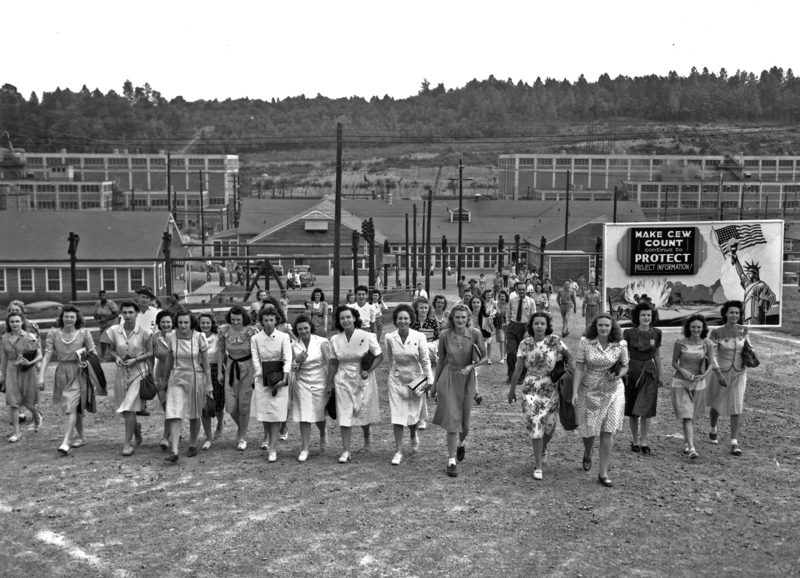 Freeman is one of what she calls the, “grandchildren of the Bomb” (p. 170) and this informs her very personal historical and sociological study of not just Oak Ridge, but also the idea of Oak Ridge and the nostalgia that constructs its memory today. Freeman’s grandmother reveled in the cloistered city’s bowling league and was taught Sunday school by Dorathy Moneymaker, the town’s folk historian who saw her pre–Oak Ridge land seized by the government while her grandfather drove a mysterious truck with materials you simply did not ask questions about. Freeman draws out these fragments as inventive resources for the book and pieces them together onto the larger cultural geography of Oak Ridge, offering an utterly unique take on the, “technological Shangri-La” (p. 126) of the Secret City. As she notes, “The critical potential of atomic nostalgia emerges when discordant memories are intentionally placed side by side to work on each other,” (p. 134) and that is as good of an explanation as any as to the power of Longing for the Bomb. Indeed, cultural geographers might want to adopt sociologist Lindsey Freeman as their own — she writes vividly and often beautifully of both the abstract space of atomic culture and the specific places that populate it. Longing for the Bomb properly has its de Certeaus, Simmels, and Meads, but it is also populated by Freeman’s wit and way with the ache of nostalgia — her absurdly funny ethnographic interfacing with a medal for Catholic air officers (a globe with a protruding mushroom cloud and a serene Virgin Mary hovering atop it) exist alongside the poignancy of, say, creased old Ed Westcott photographs that happen to include her family members. For every irradiated dime, “hot deer,” Atomic City Boogie, and dreams about the, “Neutron Dance,” there is an equal force applied by the pain of lost rural communities or the realization of atomic killing power. And Freeman has as much facility in pinpointing the silences of Oak Ridge’s archive, in, for example, sexuality, mental health, or Japan’s plight in August of 1945, as she has in the archival presences of Oak Ridge dances, potlucks, and scientific collaboration. Critical, reflective nostalgia, à la Svetlana Boym, appreciates both irony and melancholy as productive; Freeman has created a productive book in that way. Freeman constructs a, “rascal narrative,” (p. 34) — a term she imparts to some of the early myths of the land that would form Oak Ridge, but that also describes her own patchwork method of juxtaposing official and popular discursive histories. She calls herself aptly a, “ragpicker of history,” (p. 49) and she is at the height of her powers when picking up the scraps and bits and fragments of memory and folklore in Oak Ridge’s short but tumultuous history. Longing for the Bomb constructs a sense of, “everydayness,” around the improbable and fantastic world of a meticulously planned community creating the most destructive materials in mankind’s history. Freeman’s vividness almost risks sweeping today’s reader up in the dreamy possibilities of atomic know-how, civic sacrifice, and scientific camaraderie (an alchemic mixture that creates what locals call “Oak Ridgidness”) — reading these descriptions, I became a bit breathless with a nostalgia for an area I knew virtually nothing about. Luckily, Freeman is deft enough to jolt us back to a reality where the stratifications and hierarchies of Oak Ridge’s classified world are made all too clear, as the problem of, “Brahms and bombs,” plagued the community. For example, this city was notably one of the few places where slums were deliberately planned, and it housed programs where horrific plutonium experiments were done on black workers. Her work on gender inequalities and tensions are particularly nuanced, not discounting the prideful memories of women who did outstanding and important work, but also questioning the ways a kind of scientific version of masculinity marked Oak Ridge’s cultural geography. Nostalgic pining for the days of the Calutron girls and the, “Computers,” (the name for the highly skilled, but often undervalued, female mathematics experts who did complicated calculations by hand) is thus tempered by important excavations of inequities. Overall, these ruminations on race and gender are not perfunctory, as mere check boxes in a sociological study, but are interwoven expertly into Freeman’s Oak Ridge narratives and counternarratives. Her keen sense of irony also keeps the reader grounded, noting that the bustling population of Oak Ridge was equal to the numbers killed in Hiroshima’s blast and that the city was place where one could declare that, “when the bomb dropped, we danced all night long.” (p. 94) For Freeman, these realities create a, “fractured ethical environment,” (p. 76) — and as she documents well, a lot of Oak Ridge’s issues were problematically excused by the, “fevered wartime explanation,” (p. 78) that efficiency and sacrifice for the war effort trumped all else. Towards the close of her book, Freeman recalls listening to a phone at the American Museum of Science and Energy exhibit that documented Paul Tibbets’ voice as he was preparing to drop the bomb over Hiroshima. She writes, “the electric speech from the past scrambled my brain and made an omelet of my emotions.” (p. 128) For a grandchild of the bomb, the personal is political and historical, and vice versa. Longing for the Bomb, in turn, worries aloud about the consequences of these memories twilighting into receding generations, but answers that there is defiance to remembering and keeping alive the tradition of atomic nostalgia. In the process of absorbing both her scholarship and her personal reflections, Freeman’s readership is likely to have their own brains scrambled and their emotions turned to omelets — and they will come to appreciate the spaces and places of our atomic world, both historically and contemporaneously, in a new way. Lindsey A. Freeman. Longing for the Bomb: Oak Ridge and Atomic Nostalgia (Chapel Hill: University of North Carolina Press, 2015).